Click here to visit their facebook and like them. Then on the “Peet’s NCD” tab, click “Who Is Major D?” on the left. 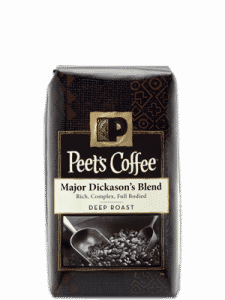 Finally, click claim sample towards the bottom and fill out the form to request a free sample of Peet’s Major Dickason’s Blend Coffee.